Main Ingredients: Meat and animal derivatives 30%(of which chicken min. 5%, turkey min. 5%)-cereals-Minerals. The wet formula meets the needs of a neutered/spayed dog without sacrificing taste and quality, according to the company. 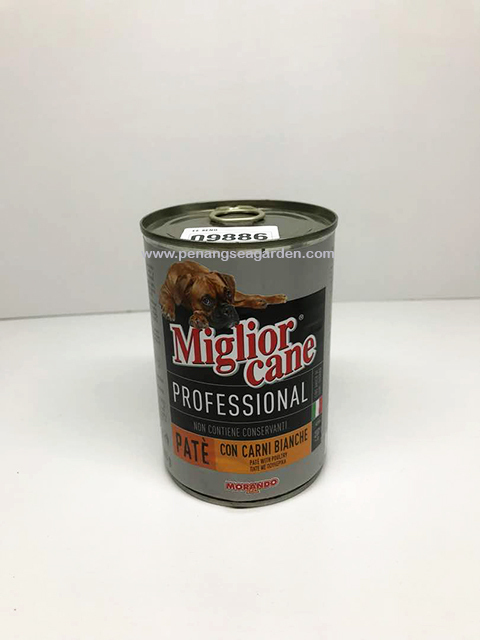 Wet / Canned dog food (tin easy open) After opening, you may conserve it 2-3 days in the fridge.